Having Problems With Your Washer? ​We would be happy to help! 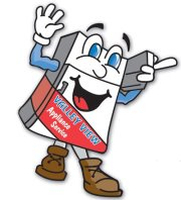 Valley View Appliances offers trustworthy service for your washer repair and we strive to make your experience successful from start to finish. As a leader in the industry, Valley View Appliances will be able to provide you with top-notch service and we will get your washer repaired smoothly and efficiently. Referring to the image, locate and then record the model and serial number of your washing machine. Keep it handy as we will need it when you book the service call. If you have an error code showing or a series of lights flashing, please do not unplug the washer as this can clear the diagnostic codes relevant to your appliance repair. If the washer is not responding to your user input, try disconnecting the power supply to the washer for 10-15 minutes and then reconnect the power. If the unit is a front load and full of water, ensure that you do not open the door as flooding can occur. If the washer is a top-load and is full of water, it would be preferred if the water could be removed prior to our service call as long as it can be done safely. 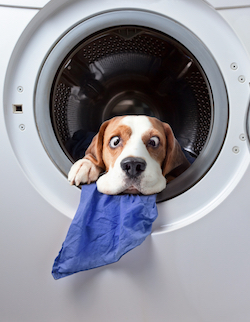 Due to the complexity of working with washers, any repairs are best left to our certified appliance technicians. We would be happy to help you with your microwave repair service. Because we value you and your time, we have invested in training the very best in the industry to help make your appliance repair experience successful from start to finish. Our local customer service representatives are available between 8:30 – 5 pm Monday through Friday waiting to assist you in booking a service appointment at a time that works best for you. No time to talk? Use our BOOK ONLINE feature which allows you real-time access to our availability calendar for your specific area. Once we have received your scheduling request, you will be sent a confirmation link confirming the appointment spot selected along with a technician-tracking link. This link will allow you to follow the technician’s progress to your door (much like the UPS tracking system). At the time of booking, we will require a credit card to secure your spot. We also have a cancellation policy in effect. We use a paperless invoicing system, which is great for the environment and helps us keep better track of your service history. Following the service call diagnosis, a quote for the repair cost will be given, using the National Major Appliance Price Guide. This method guarantees you the lowest price possible as you are charged by the job and not by the hour! The quoted price includes a one-time charge for diagnosing the required repair as well as any necessary parts and labour. If we have to order a speciality part for your appliance repair, you will not be charged any additional fees for the return visit. All of our trucks are fully stocked with parts for many common appliance repair issues. We strive to fix your appliance the first time out! With today's high-efficiency washers, it is essential that you use HE (high-efficiency) detergent to prevent error codes, flooding, and mold growth. Monthly use of a cleaner is recommended to prevent bacteria growth and odours from occurring. We recommend using Affresh which can be ordered directly from our part's line at 1-866-243-4662. If you have a front load washer, ensure you are cleaning the inside of the door glass regularly to allow a proper seal. Due to the complexity of working with washers, any repairs are best left to our certified appliance technicians. We would be happy to help you with your washer repair service. To order washer cleaners or other supplies call ​1-866-243-4662.